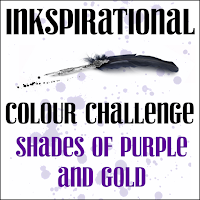 Well this has to be the easiest challenge Shauna has set for me at Inkspirational to date. She usually has me printing on designer paper or something way out of my comfort zone! So thank you Shauna for going a bit easier on me this time! All of these butterflies and sentiments are from the STAMPlorations set 'Trendy Butterflies 2'. I have used 2 different shades of Catherine Pooler Inks. CASology-Jungle-I checked it out-you do get some butterflies in the Jungle e.g The Blue Morpho butterfly....so mine are purple but heh...artist license!! Sighhhh...your trio of pretty purple butterflies is absolutely gorgeous! Definitely a theme perfectly suited for you! AND, I'm thrilled you also shared it in the HLS CAS and STAMPlorations galleries! Yes, this challenge does play too your strengths - fabulous composition and your butterflies are gorgeous. Oh Sandie.. What a beauty!! those butterflies are gorgeous! I am so happy to see you playing at all the challenges and am so thankful to God for it. A challenge that is totally you! 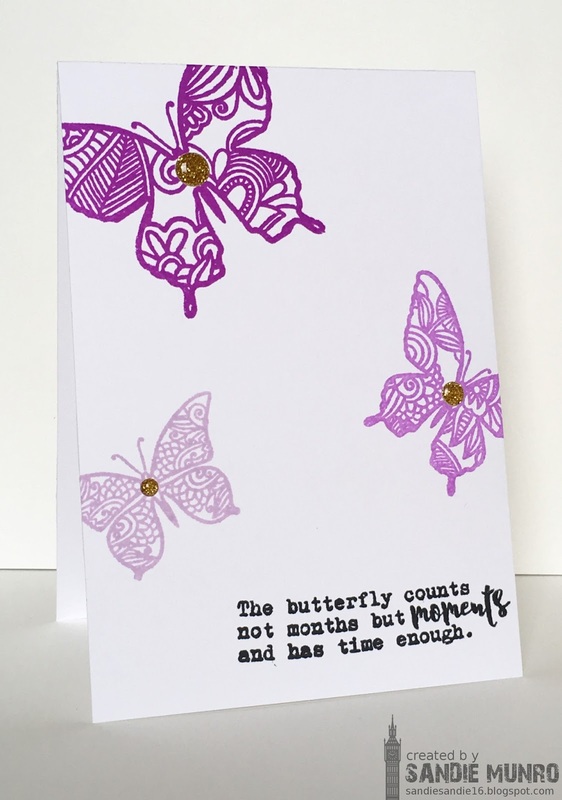 And you made a greay fresh card that reminds me of all the butterflies I've already seen in iur garden! Your butterflies are lovely! I like the different purple shades with the touch of gold. Really nice! What a pretty monochromatic design! I love how the butterflies are fluttering right off the edges! 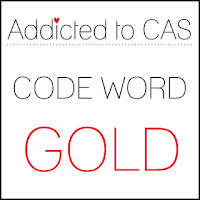 Gorgeous, perfect CAS ! 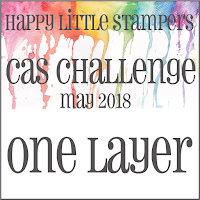 Thanks so much for joining us at the Stamplorations CAS card challenge this month! 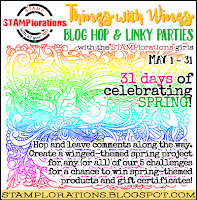 Perfect coordinating shades of purple ... so glad you joined us for the Things with Wings Challenge at STAMPlorations. This card is so you, Sandie and I love the three shades of purple you used. A fabulous one layer.